Radon gas comes from the natural decay of uranium in soil, and is found everywhere. However, past radon testing shows that Utah has elevated levels of radon. In fact, one in three homes in Ogden have what is considered high levels of radon gas by the Environmental Protection Agency (EPA). They recommend that every home be tested for radon, and any home with levels of 4 pCi/L (picocuries per liter – unit of measurement for radon) or above be fixed. Testing your home is easy, simply fill out the form to the right and a Utah Radon Services employee will reach out to send you a free radon test kit. Once radon testing is done, if your home has high levels of radon, a radon mitigation system can be installed affordably and quickly to reduce the radon that your family is exposed to in your home. Utah Radon Services offers free bids for a radon mitigation (radon reduction system) if the levels in your home are high. Pipes and a specialty fan are used to collect radon gas from beneath the foundation of your home and vented out into the air above your home, significantly reducing the amount of radon gas that enters your home. We guarantee that your new radon level will be below 2.7 although we often can get it well below 2 pCi/L. 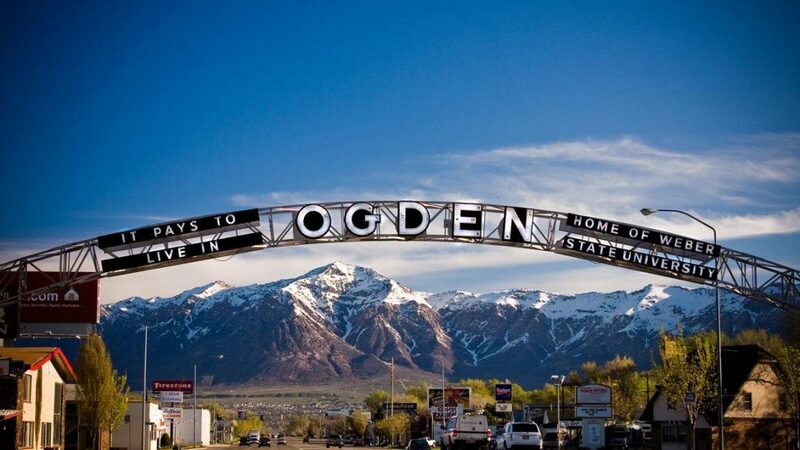 If you own a home in Ogden that has high levels of radon, call 801-871-0715 or fill out the form on the right to request a free radon mitigation bid. A naturally occurring gas that is the result of decaying uranium in soil, radon gas is the second leading cause of lung cancer. While radon is found everywhere, when it is dispersed into the air outside, it is not a risk to your health. However, when this odorless, tasteless, and colorless radioactive gas accumulates in your home, it can become a health concern. 21,000 deaths each year are attributed to radon related lung cancer. The EPA recommends that every home be tested for radon. Have yours tested today, if there is a problem, radon mitigation is an affordable solution to protect your family.